A high performance Hotpoint fridge is sure to be a much welcome addition to any kitchen, keeping your groceries cool and fresh at all times. Designed to optimise quality and performance, our range of Hotpoint Fridges feature a number of handy compartments, tough glass shelves, and storage boxes, giving you enough space to keep all of your groceries. Available in a wide range of sizes and finishes, our Hotpoint fridges come in capacities of up to 363 litres and will also allow you to enjoy features such integrated temperature alarms, a food care zones, auto defrost and fast chill technologies. 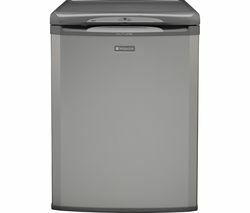 So, whether you’re looking for a fridge that can accommodate large or small households, there’ll be a Hotpoint fridge in this range that meets your requirements. Ideal for everyday use, some of the models within this range also boast Day 1 Fresh Technology, a state of the art feature that extends the shelf life of your food and groceries for up to 7 days, so you can enjoy just-bought freshness for longer. 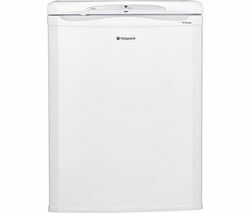 So, if you’re looking for an economical Hotpoint fridge that will also help you to keep your bills down, you’re in the right place. Check out our full range of fridges, we stock a wide range of brands including Samsung, Logik, Kenwood, Bosch, Beko fridges, and more.